Nasa has landed a probe on Mars. Neil and Tom discuss the language from this story. The American space agency Nasa has put a robot on Mars. The first images of the red planet have already been sent back to Earth. The mission to Mars has ____ successful. 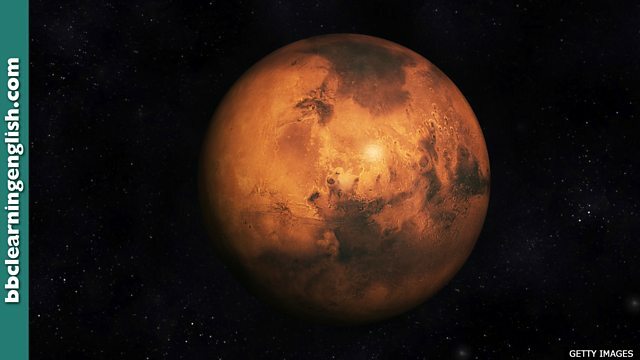 Scientists at the American space agency NASA say they are beginning to gather data from Mars after successfully landing a probe on the surface of the red planet. The InSight spacecraft survived a perilous descent on Monday and has already sent back its first picture. • NASA’s probe will send soil samples back from Mars. • An internal probe by the police department found evidence of corruption in the force. • The rocket touched down at six o’clock in the evening. • The plane is scheduled to touch down in New York before continuing to Miami. • The oldest horse in the race is beating the odds! He’s going to win! • Despite losing their first few games, they beat the odds and won the league. Nasa are ______ the surface of Mars. A touchdown zone in an office is where ______. Succeeded in a situation in which success is unlikely. My favourite football team ______ and won the league despite being the poorest team in the league.